Captain America: Civil War pretty much guarantees that some members of the Avengers are going to throw down against each other. The D23 Expo footage description gave us a preview of who we can expect to face off. One character which people are more curious to see in action is Spider-Man. Tom Holland was spotted on set last week filming more scenes, which all but confirmed his role will go beyond a cameo. In fact, the character is expected to not only make an appearance, but will go a few rounds with a couple characters… both good and evil. A rumor broke from Heroic Hollywood’s Umberto Gonzalez, who has been on a streak lately with rumors turning into facts. 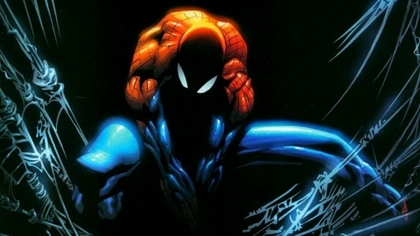 He’s revealed a particular character which Spider-Man will battle at one point in the film. This is a potential spoiler, so proceed with caution. Spider-Man will go toe to toe with Captain America. This rumor makes sense considering Spidey will be on Iron Man’s side when the team splits (confirmed). When and where this will take place is unknown at the moment. So what can we expect from this fight? Well history has shown us that Cap doesn’t fare well against his comrades. When he’s not getting roasted by Tony Stark, he’s getting repulsor blasted by Iron Man. To be fair, Cap’s true fighting skills were put on fully display in The Winter Soldier, making him a total badass. Those guys (Joe and Anthony Russo) are back directing, so I expect to see some impressive fast paced hand-to-hand combat (non lethal of course). The only question I have is which of Captain America’s two rumored fights will look cooler between Spidey and Black Panther?